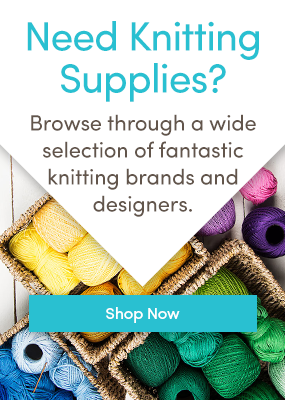 At LoveKnitting we love working with knitting design talent who continue to broaden our knitting horizons with their fun and beautiful patterns! This March we’re featuring the fabulous Martina Behm, Gretha Mensen and Anna Nikipirowicz. German designer, Martina Behm creates distinct and ethereal knitwear designs with the sole purpose of delighting her fellow knitters! Her patterns seldom use purl stitches – instead it’s all about the knit stitch! From cascading shawls, to rustic mitts, her collection includes cascading colorwork and geomatric design features. Since learning to knit in elementary school, Martina continued to perfect her stitches whilst working as a journalist. Now the busy mother of two lives in Northern Germany and continues to share her sublime designs. This beautiful Karnickel hand knitted shawl designed in ethically sourced angora yarn is heavenly soft with impeccable drape. Gretha Mensen’s richly rustic muted knitting patterns are crammed with meandering cables and beautiful textures for ultimate hygge chic. Designed in single tones to play canvas to her stitch designs, Gretha’s collection include cozy hats, cowls and shawls, perfect for staying warm and fashionable in the chilly weather. Her Dohne shawl was even pattern of the month! For the ultimate snuggly hat look no further then Mensen’s fabulous Salve! Perfect to wear on the go, this casual yet stylish accessory is worked in the round creating columns and eyelets. Why not craft in Cascade Superwash Sport or MillaMia Naturally Soft Merino to make your own! British designer Anna Nikipirowicz is the ultimate craft queen! From quirky and original designs to fashionable knitted or crocheted garments and accessories, you’re missing a trick if you haven’t tried one of her patterns! Inspired by her mother’s beautiful craftwork growing up, Anna returned to knitting and crochet four years ago and hasn’t looked back since! Anna recently designed this fabulous Haven Diamond Blanket for LoveKnitting’s campaign with Breast Cancer Haven, to raise money and awareness for this wonderful charity. Created out of knitted squares using Millamia Naturally Soft Aran, you can even knit on the go! If you live in the UK you can also donate your blanket to Haven’s London branch. All the proceeds from the sales of Anna’s pattern will be donated to Breast Cancer Haven in support of the The Big Tea Cosy, which takes place March 1-31, 2018. Love trying out original designs? Why not share your favorite in the comments below!